Guest stars are nothing new on Saturday Night Live, but this week’s proved to be particularly special. 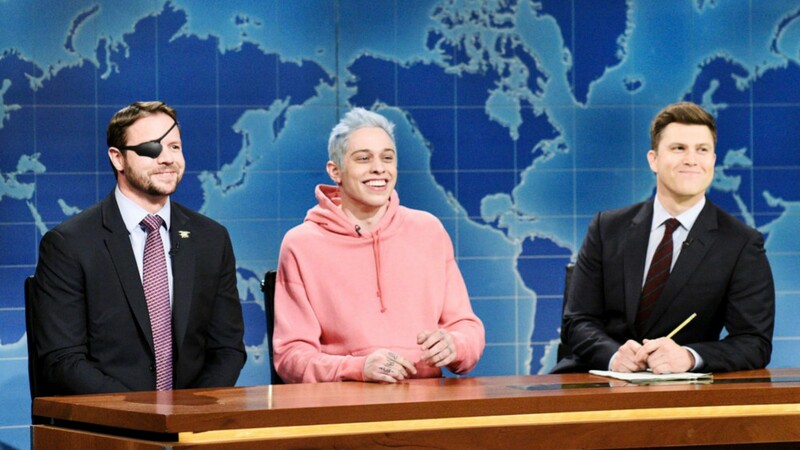 Just ahead of Veterans Day, the sketch comedy series invited Texas Representative-elect Dan Crenshaw to cameo on "Weekend Update" — where he roasted cast member Pete Davidson. Of course, in Crenshaw’s defense, Davidson kinda had it coming. Davidson received backlash essentially across the board for the derogatory remarks. So, he cued up "Weekend Update" this Saturday in a decidedly different fashion: with an apology. “In what was I’m sure a huge shock for people who know me, I made a poor choice last week. Nah, I did. I made a joke about Lt. Cmdr. Dan Crenshaw, and on behalf of the show and myself, I apologize,” Davidson said to the camera. Enter Crenshaw, who rolled in at that precise moment to say, “Ya think? Thanks for making a Republican look good,” before launching into the aforementioned roast. He even let a phone call go to voicemail, revealing in the process that his ringtone is a song by Ariana Grande (aka Davidson’s former fiancée). But Crenshaw wasn’t just there to get in a few playful jabs at Davidson. The veteran, who lost his eye to an IED in Afghanistan during his third combat tour, had a more poignant message to share with SNL viewers. “But seriously, there’s a lot of lessons to learn here. Not just that the left and right can still agree on some things, but also this: Americans can forgive one another. We can remember what still brings us together as a country and still see the good in each other,” he started. Davidson was 7 when his father, a New York City firefighter, was killed in the terrorist attacks on Sept. 11, 2001.